How does your organization identify which employees to promote? 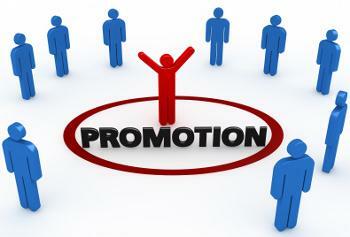 For many organizations, promotions are random decisions left to managers. That’s a mistake … and a common one. Only 25% of organizations say their supervisors provide good career management support to their employees, according to a new Towers Watson survey. And a recent Harvard Business Review report says companies that get the most productivity out of employees are ones that focus on leadership development for top dogs. Turn praise into a mini interview. Compliment a top employee for excellently completing a difficult assignment, and then ask how the person did it. Sharing the process illustrates the employee’s thinking, methods and organizational skills. Offer a tryout. Ask top performers to assign a project to another employee and lead the effort. Tell the high-potential worker to send you copies of all related emails. This gives you a good snapshot of the employee’s leadership potential. Watch behavior in meetings. Is the person engaged? Does he focus on who is talking? Does he speak sparingly, insightfully and influentially? Are co-workers confident in the employee’s decision-making and leadership abilities, even if he or she doesn’t have a management title? Can the employee lead via influence and persuasion? How does the person respond to unexpected challenges? Can you envision the employee listening patiently to employees’ problems and handling them in the organizations’ best interests? Can the person withstand criticism to make unpopular decisions? Advice: Don’t rely solely on the individual judgments of managers and executives. Create a profile of the traits desired in promotable employees and use it to identify them. Are they eyeing a raise, or are they really eyeing the door? Great check list on a preliminary evaluation basis. Obviously, however, there are many issues of corporate culture within a specific organization to address which affect strongly one’s career. I will promote someone on the basis of consistent technical competence, and you will always know whether someone has got more to offer above his/her pay grade. The model known as 9-grid Performance-Potential Matrix is also a good guide how far someone in the organization can go. In flatter organizations, rewards can come in other forms.